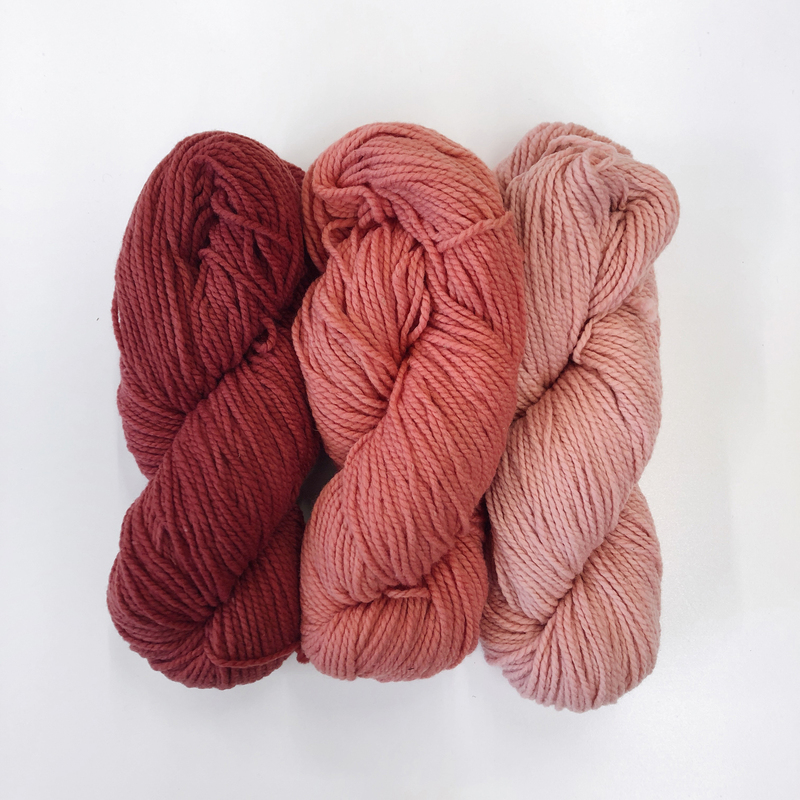 This oh-so-simple scarf by Sarah Resnick is made from 3 skeins of our soft and cozy Merino Wool Weaving Yarn. 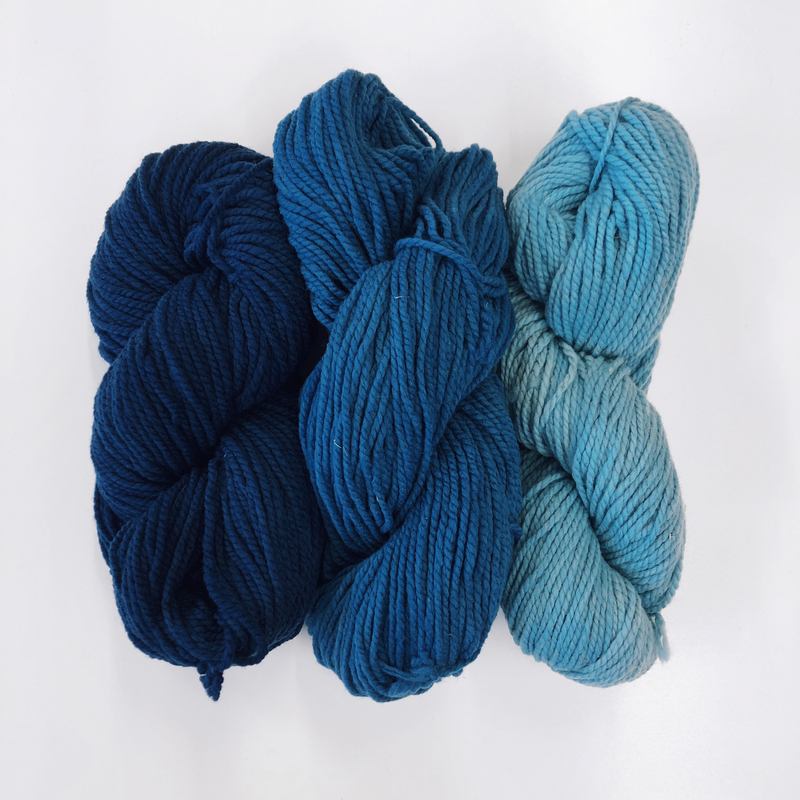 Three shades of blue create a spectrum of colors through stripes in the warp and weft. 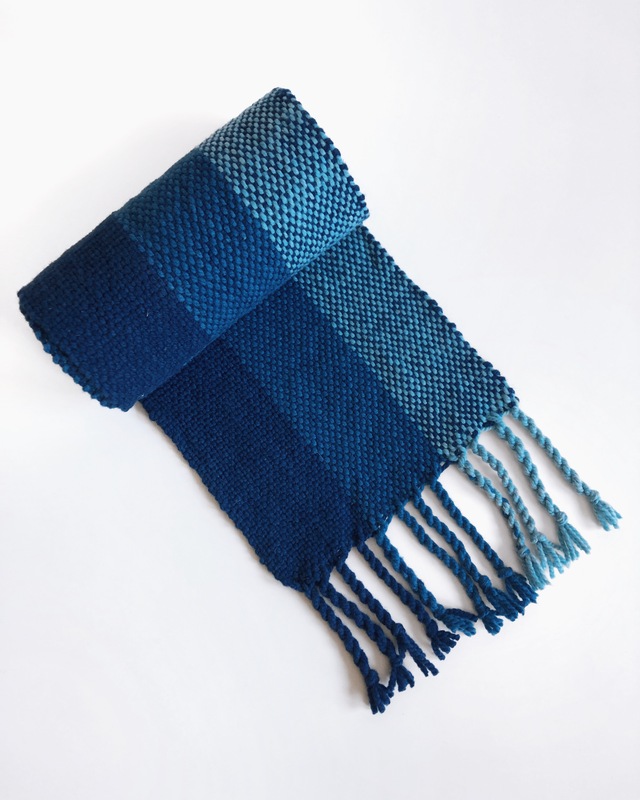 This scarf is designed to be woven on a rigid heddle loom but can also be made on a floor or table loom. 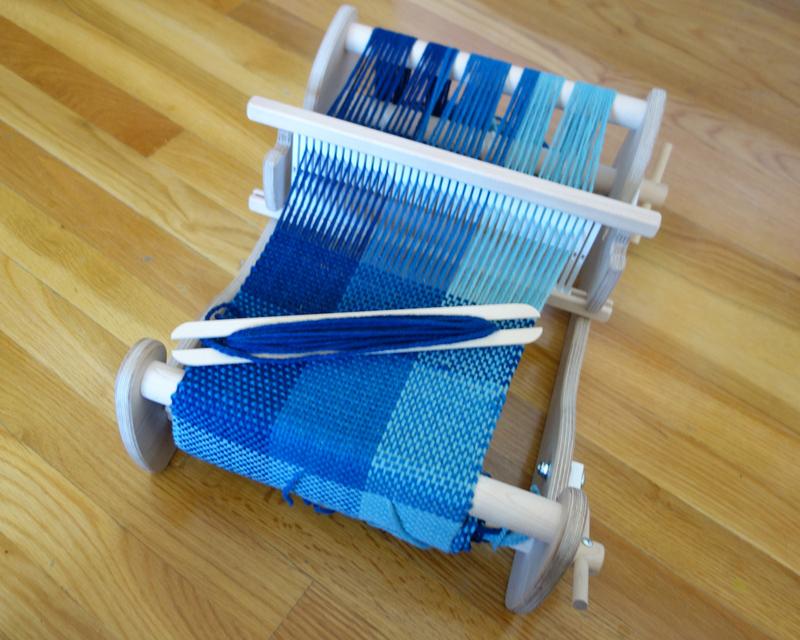 If you are just getting started with weaving this an ideal project to dive into! 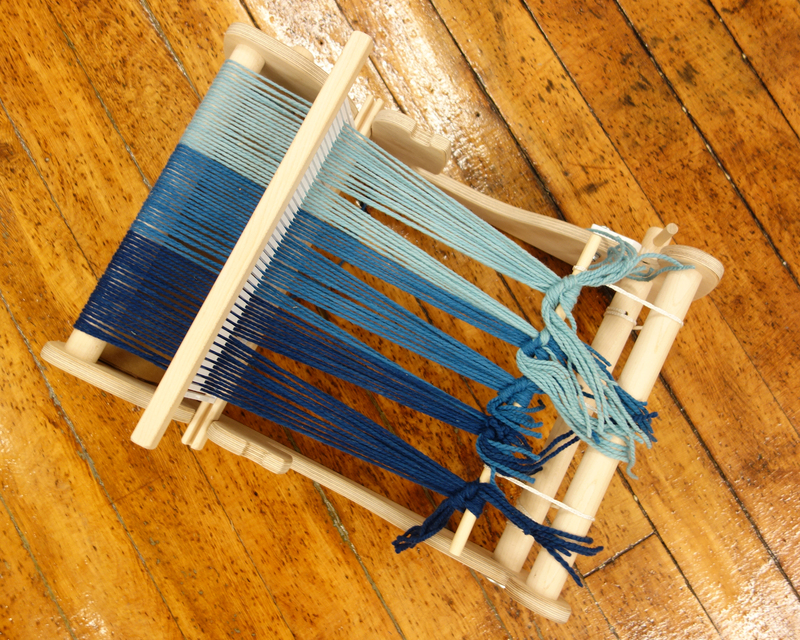 For more information on choosing a rigid heddle loom, download our free guide here: Guide to Choosing and Using your First Rigid Heddle Loom. See all the project details below and choose a kit to get started. Warp Color Order: Wind a warp in the following order for a total of 72 warp ends. 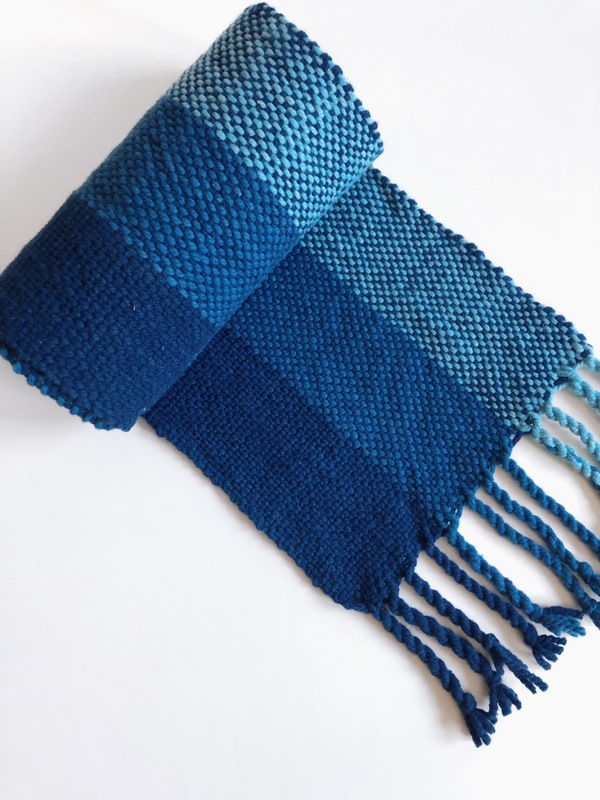 You can use the direct or indirect warping method for this scarf. 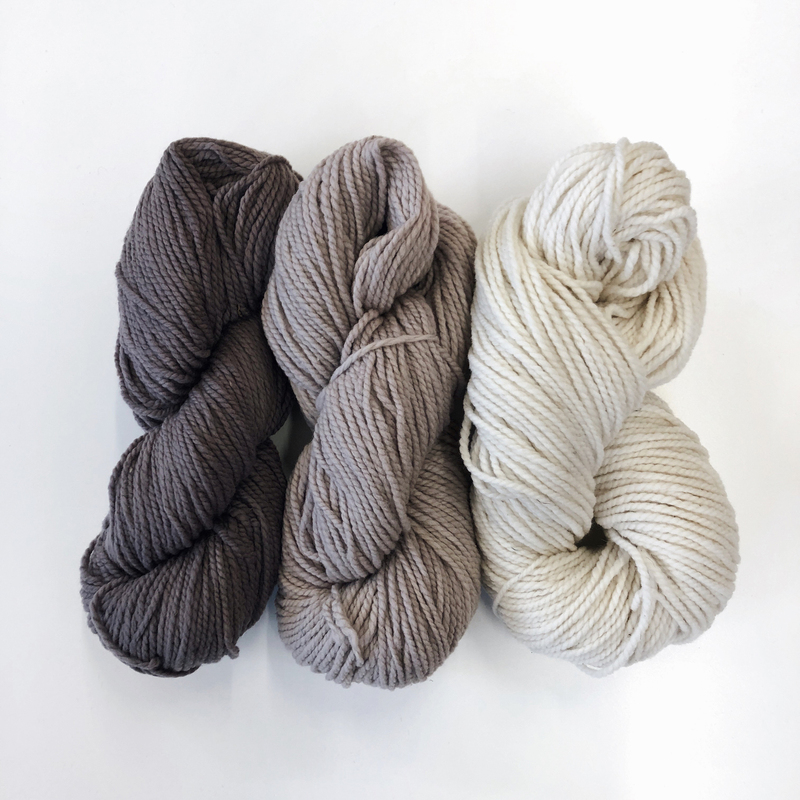 Weft Color Order: Weave the following color block sequence for a total of ~72". 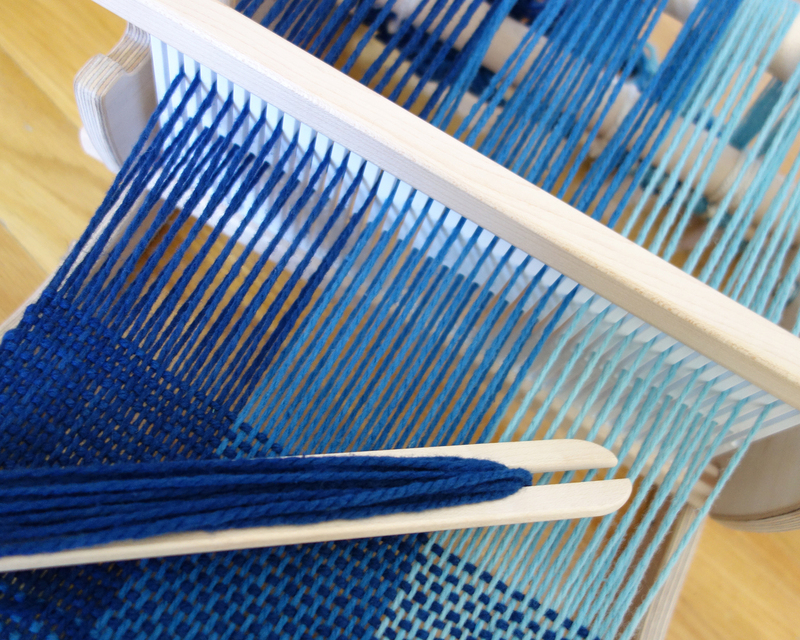 Measure the length of your stripes when the loom is not under tension for the most accurate measurement. Begin and end your scarf with hem stitch (tutorial here) and make sure to leave enough room for fringe. 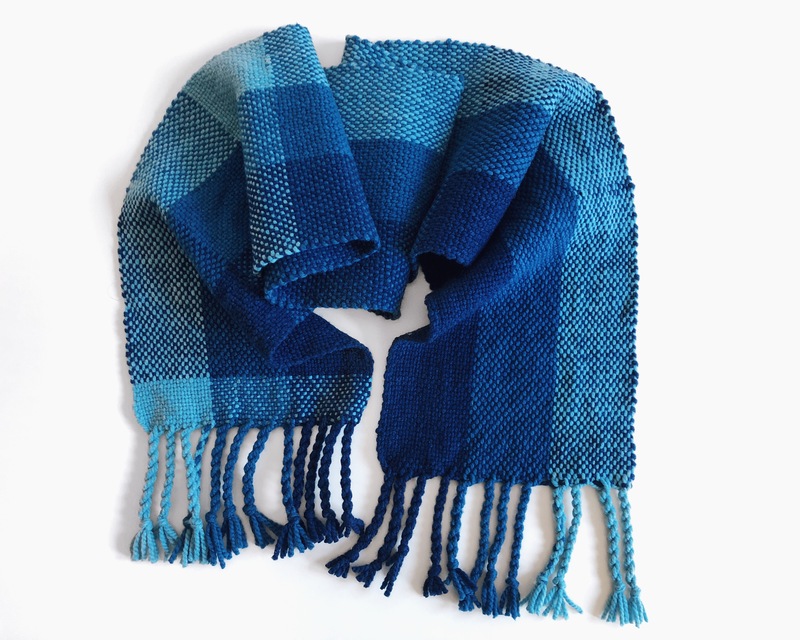 Feel free to experiment with your own pattern of weft stripes throughout the scarf! 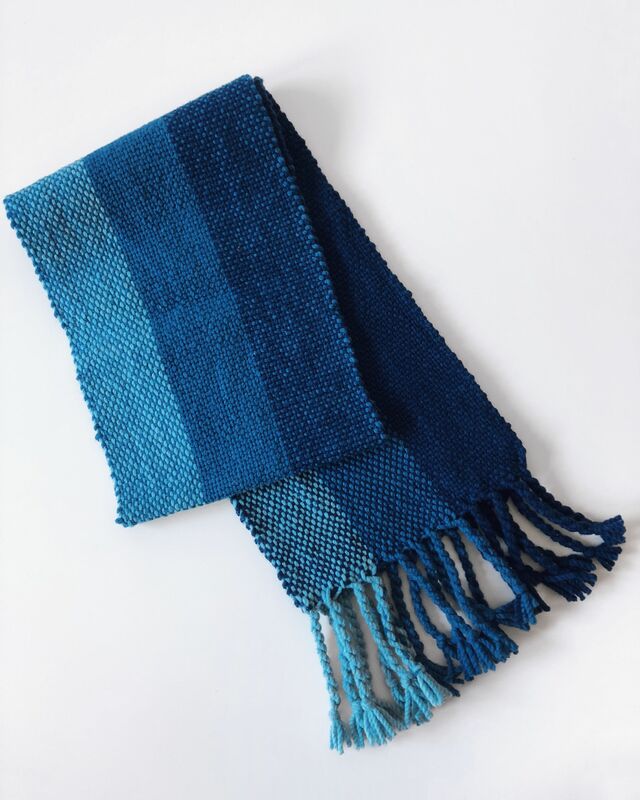 Finishing: Once you have finished, cut the scarf off the loom and hand wash in cold water with a mild detergent. When the scarf is dry, trim the fringe to about 4" on each side and use a fringe twister to finish. Thanks for the RH patterns. I love it! You are right – thanks for pointing it out! I updated it. I think where you have “warp length” you have 3’ – which is only 3 feet should it be 3 yards or more? since we need 80" inches for the scarf and 10" on either end for the fringe plus extra for tie up and waste? I’m new to this so I’m just checking?